The Injury Analyst Blog — JAM Sports, Inc.
Kenta Maeda was sent to the 10-day DL with a diagnosed right hip strain against the Phillies. In 2017, Maeda experienced left hamstring tightness, but got over that quickly. He acknowledged the right hip has been a lingering issue recently, but doesn't think it will keep him out too long. Watching him pitch and his stride when he walks, his pelvis already starts in a rotated position which makes it hard for him to follow through during the arm cocking and acceleration phases. He attempts to drive through the right hip, but hits a road block, forcing him to extend excessively through his trunk. As he tries to get more velocity, he attempts to force his right hip drive and rotate his pelvis out of his bad position. Muscles that have been in a shortened position for a while, lengthen under excessive load causing his hip muscles to strain. Over time, this can go from a muscle strain to joint pathology as it causes the ball in the socket to overcompensate and ride excessively forward for the lack of what the pelvis won't do. Synopsis: Maeda seems to be unphased by this recent hip injury and should be back on the mound after missing a start. This is a small impairment of the right lumobopelvic complex and can be fixed with a little work. But if this continues, it can cause right hip labral issues, back problems and right shoulder problems down the line. At the end of the day, if he wants to have healthy finishing pitching mechanics, he will need to address his starting position. Note: I have not seen the subject of this article personally in clinic, rather all views and opinions of the author have been made based off of video footage of the athlete. This article is not meant as a diagnosis or a treatment plan. The most interesting injuries occurred recently with left calf discomfort and right foot pain leading up to current hamstring injury (but that is a topic for another article about the dangers of playing injured). While watching Chris Paul, there are many things to point out. But I'd like to focus on the one thing that seems to be an underlying factor for most of his injuries. Watching some of his many videos, performing insanely difficult dribbling, coordination and agility drills, I got to see why he is considered one of the top point guards in the NBA. His skill level is almost unmatched. He trains ferociously. The one thing he doesn't have is core stability, more specifically, excessive pelvic movement. And while that might be the goal of a Latin dancer, that is the worst thing for an athlete that has to perform quick changes of direction, sprinting multi-directionally and stopping at the drop of a dime. The current injury is another manifestation of that lack of stability. The hamstrings are powerful movers of the body. But they need to work off a stable base. If the base isn't stable, the hamstrings have to do two jobs, one of which it isn't meant to do. Hence the above injury. If you notice, he has had multiple hip muscle strains (e.g. hip flexor, hamstring, hip adductor). Synopsis: Assuming this is just a grade 1 hamstring strain, he should bounce back relatively quickly and might even make it back for Game 7. Some of that depends on Chris's willingness to risk further injury in hopes to finally win a title. But moving into the twilight of his career, the injuries will get more frequent and come on sooner as the effects of aging and wear and tear manifest itself more clearly. The way he trains, he can stave off some injuries, but unless he makes the most needed correction to his core, I see more and more days off in the future. Michal Porter Jr. is the mystery of this draft. All the raw talent and size, but a back injury that needed surgery, lingers in the air. 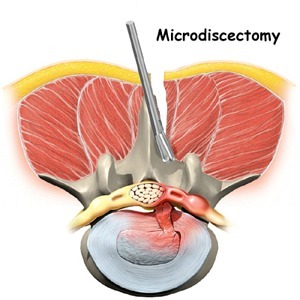 Porter underwent a microdiscectomy of L3-4, cutting pieces of the disc that protrudes onto the nerve. The biggest concern should be, how did he get to a place where he had nerve pain into his left leg? Compressed nerves are not something to be taken lightly. While many adults get this problem, there are not many people at his age that do. The two most common reasons for a disc bulge are: 1) trauma (e.g. car accident, bad fall, etc.) or 2) curvature in the spine. I would be less worried about the first option in Porter's case. To understand the difference, take the recent injury of LA Chargers tight end, Hunter Henry. 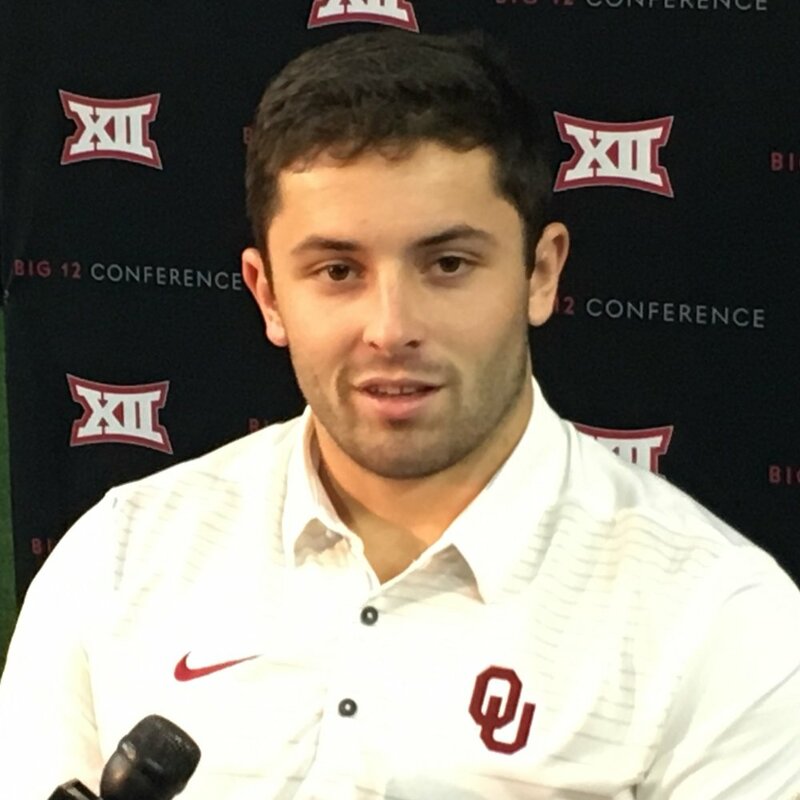 He recently tore his right ACL running downfield "untouched". That means he had impairments in his body that caused faulty knee mechanics that created constant pressure on the ACL that led to a non-contact injury. This is more of a complex issue that would have to be treated holistically, checking the ankles, hips, pelvis, and so on to find the root of the cause. A cause that can be deeply rooted in his "posture" and movement patterns which makes it more difficult (not impossible) to change. You would almost rather read the below tweet as "Hunter Henry tore his right ACL when his teammate lost control and flew into his knee" atleast eliminating the mystery of the cause. If it is option number two and Porter does have some curvature in his body, can we blame the obvious - is it natural for a person 6'10" to bend down so low to dribble the way he does. Are there any weaknesses in his body that cause excessive pressures on one side of his spine? To answer the first question, I started looking at his most common comparison: Kevin Durant. He seems like he is having a nice long and successful career as an athletic big man (around the same height as Porter), but we seem to have injury amnesia. Durant has had a plethora of injuries including multiple ankle sprains and needed to have bone graft surgery for his foot due to a Jones Fracture. Although he has not reached Cal Ripken Jr. caliber status, he seems to be maxing out his potential health-wise. So while Porters path ahead can lead to a successful career, it won't be a smooth ride. Synopsis: This is a classic risk-reward calculation. Does his size, athleticism, talent and versatility outweigh the injury risk that comes along with it? He will most likely have a career with multiple injuries, but with the right training staff, he could keep those injuries to a minimum and might just be worth it. Kyle Kuzma - Los Angeles Lakers: Too Much Swagger or Poor Weight Acceptance? Kyle Kuzma is just getting started. He is on his way to an all star career that can attract high profile stars and contribute to future championship runs, if he could just address his (cough) swagger. When it rains, it pours. Dodgers Left handed relief pitcher, Tony Cingrani was placed on the 10-day disabled list with "left shoulder inflammation". This isn't the first trip to the disabled list for Cingrani. April 2018 : "dead arm"
When Cingrani lands on his right leg, it poorly stabilizes which affects his pelvis position. As he is still following through when landing on the right, his poor leg and pelvis position make him effectively over reach with his left shoulder to get it off causing a "C" motion (think of his body bending to the right) which offsets his scapula as the ball in the shoulder (humeral head) joint is rotating at warp speeds. This "C" curve might be the main reason for his past oblique and low back strain (one side of this trunk musculature is in a shortened position which will get strained quite easily with rapid lengthening under heavy tension and one side is in a lengthened position which is basically micro-straining everyday). Where do I start? Since the beginning of his tenure with the Dodgers, Ryu has been plagued with injuries. There has not been a season that he has been fully healthy. At this point, I would suspect that Ryu has the beginnings of osteo-arthritis in the left hip based off his movements. This could be very bad (but not unfixable) due to the fact that he is a left handed pitcher and needs full mobility to drive and get power off his left leg. It seems like his limited left hip mobility causes him to overextend his right hip for landing on front foot which then creates an excessive knee extension moment causing too much strain on his structures on the back of his right knee. Recommendation: Unless he undertakes a major overhaul approach to his hip mobility and pelvis stability, Ryu's potential to be a major factor for the Dodgers is just that, potential. The Dodgers might want to look at moving on soon if Ryu can't make the adjustments. Synopsis: Some mobility issues (especially left sided) that cause improper movements. His compensatory left sidebend (due to lack of rotation) will likely get him more pop outs due to an upward swing. His lack of rotation to the right (because of left sided tightness) makes him an opposite field hitter and leaves him without true power. If Alex can open up his swing and coordinate his hips and trunk, he can become a more versatile hitter and decrease his risk of injury in the Majors. You can basically blame Kobe Bryant for Rubio's downfall. Well, not really. While Ricky's problems started when he was a rookie after he sustained a left ACL (Anterior Cruciate Ligament) tear that needed a reconstruction, the problems that followed could have been avoided. In 2014, Rubio had a severely sprained left ankle which he re-injured in 2015. In February 2018, he had a mysterious left hip injury, followed by some hamstring "soreness" in early April.This leads us to a left hamstring strain on Friday night in the series clinching win over the Oklahoma Thunder that will supposedly sideline him for 10 days. Watching his first injury against Kobe, the play looked routine. Rubio hedged out against Kobe trying to take a charge and fell to the floor grabbing his knee right away. After taking a closer look, it seems as if Rubio's knee was in the perfect position to get injured versus anything Kobe actually did. After being off your leg for a long period of time, you start to lose the natural muscle memory and joint mobility of that leg. After tearing his ACL and then severely injuring his ankle, both on the left side, Rubio seems to have left sided deficits including limited ankle and hip mobility that puts excessive strain on the hamstring,which its main job is to powerfully extend the hip with running. If he is not co-activating his Glutes and has stiffness in the hip and ankle joint, he asks of his hamstring way more than it could handle. In the offseason, he will need to make some major adjustments in his mobility, muscle activation and movement patterns if he wants to have a full, healthy season in the NBA. There is no "one-size-fits-all" way of throwing the ball (See Phillip Rivers). But the way a quarterback throws can be telling. Some have more power because of powerful hip and trunk strength and coordinated movements, some opt out of power for a quicker release. Below are the top four highly touted quarterbacks in the 2018 class. We break down their mechanics so you can decide how high or how low they should go. Synopsis: Quick release, but poor recruitment of power through his lower extremities which leads to more wear and tear on his shoulder. Uses spinal extension to clear shoulder for throw. 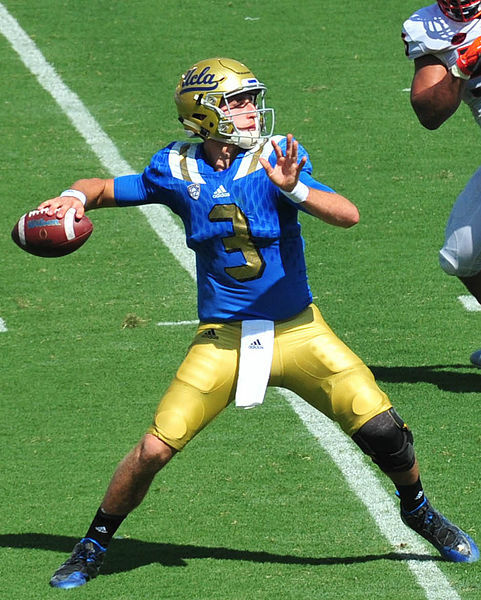 Synopsis: The most injury prone out of the class, Rosen seems to have cleaned things up. He continues to have some risks including a concussion risk and some faulty right shoulder mechanics due to mobility with compensatory movement through spine. Walker Beuhler (P - LA Dodgers), Relief or Starting Pitcher? Dodgers top pitching prospect Walker Beuhler shined in his first start against the Marlins, giving up only four hits in five scoreless innings. His average pitching velocity was off the charts giving us the impression that he is completely healthy coming off Tommy John surgery in 2015. His back tightness earlier this year tells another story. In 2017, the Dodgers tried to bring Beuhler out of the bullpen with less enthusiastic results with an ERA of 7.71 in eight appearances. They tried to limit his wear and tear which would seem sensible after undergoing surgery. Having Tommy John surgery means faulty mechanics leading to excessive elbow strain and tear of the ligament. Beuhler made it clear that he wants to be a starting pitcher in the league and the Dodgers gave him his chance. Will his body last or will he need to return to a relief role to preserve the shelf life of his arm. Although it looks like Beuhler cleaned up some of his mechanics since his days at Vanderbilt, he continues to exhibit pitching faults including limiting his stride with early rotation instead of abducting his hip longer in the drive phase. When he lifts his left leg, limited hip mobility is detected with compensatory translation to the pelvis which leads to excessive hamstring and paraspinal (and possible strain) use for stability of his right leg and less Glut stability of the pelvis and hips. Unless he wants to be relegated back to the bullpen, continued adjustments need to be made. Another blown save last night gives Kenley Jansen one more than than he has had all season last year. And its still April. This is going to be a long season for the hard throwing closer. Even the smallest change in mechanics can make the biggest change in performance. When a pitcher gets injured and does not address the underlying issue, the body adjusts to avoid feelings of discomfort or instability and that can lead to a change in command and speed of a pitch. Jansen was held from pitching in March 2018 due to right hamstring "tightness". The hamstring which attaches to the pelvis and acts on the hip can be an indicator of guarding of that hip. In Jansen's case, his right hip is his drive leg, where he initiates his pitching sequence. Probably not a joint you want having problems with when you are driving that 6'5", 275 lbs frame. Hamstring length and flexibility is usually what is rehabbed, but it is what the hamstring is guarding that I would worry about. Don't expect Kenley to return to true all star form until he addresses the underlying source of the problem. Logan Forsythe left yesterdays game against the Arizona Diamondbacks with "right shoulder discomfort". Forsythe took over for the injured Justin Turner at 3rd base after Turner sustained a fractured wrist earlier in preseason play. Looking to play more like himself from 2015-16 then last year, Forsythe sustained yet another setback. This is not his first injury as he sustained a left shoulder blade hairline fracture in 2016 and broken right big toe in 2017 as well as a complicated return due to right hamstring tightness. Watching Logan swing and throw, he seems to have upper back tightness which lends him to overuse his shoulder blade to compensate for lack of rotation through his spine. Couple this with the fact that his right sided big toe and hamstring injuries that would cause more tightness through his right side, Logan is facing heavy strain to his shoulder complex. This can lead to a labral tear (due to poor shoulder mechanics) or even a rotator cuff tear. Forsythe is set to have an MRI on his shoulder so we will have a better idea of the damage that has been caused by poor upper quarter mechanics. Last week, Lonzo unleashed his new and improved shot and had a great shooting night. Leaving his horizontal sling-shot form behind, he took the more mainstream vertical shot with elbow just to the side of the head. While the analysts seem to be impressed, I have some skepticism. Does this new shot complete his game on the way to becoming the next Jason Kidd? Or will this tweak in his game cause him to be sidelined in the foreseeable future? To understand why players develop certain habits, let me give you an anecdote on the power of subconscious compensation. In graduate school, I seemed to find myself always sitting on the left side of the room. At the time, I was dealing with left sided neck pain that increased with head turning to the left. Besides blaming it on the long hours sitting in a chair and stress in school, I knew there was something more to my problem and my seemingly consistent draw to the left side of the room. It turns out my subconsicious was at work. Sitting on the left side of the room kept me mainly to right head turns and almost eliminated the left head turns which flared up the neck pain. Watching game tape and videos Lonzo posted, I was able to find an asymmetry with tightness in his right shoulder and trunk. This tightness makes it difficult for Lonzo to externally rotate his right shoulder especially with shoulder elevation (or in his case keep a neutral rotation of his shoulder as he goes up for his shot). Lonzo being an expert in subconscious compensation, tailored his shot to avoid a problematic shoulder instead of dealing with it head on. His old shot let him stay into deep internal rotation by shifting the point of release way to the left. For the most part, it was successful. He became the Lakers number two pick in the draft and looks like the top pick the way he plays. When making a drastic change to an activity, the best advice is to do it gradually. When wearing new orthotics, making a postural correction or switching to different type of shoe (e.g. going from 12mm heel running shoe to 0mm), gradual is the way to go avoid strain and injury. When changing a basketball form, especially if that form was used to avoid a specific problem, making the change without improving the underlying dysfunction can lead to a right shoulder problem for Lonzo or even worse. His body can adapt to his new form by compensating somewhere else in the body. Watching his new shot, he continues to avoid certain shoulder angles by releasing lower and earlier. This might buy him time, but unless his underlying mechanical faults are addressed, we might see Lonzo on the inactive list more frequently than all star games. Isaiah Thomas is out for the same problem he has had since last year when he was with the Boston Celtics, right hip soreness. In March 2017, he was diagnosed with a torn labrum, the fibro-cartilaginous lining of the hip which cushions the ball in the socket, absorbing shock and giving stability to the joint. Isiah has tried resting to no avail as it continues to be an issue for him. At this point, the question becomes: is this something due to a deformity of the hip joint that would need surgery to correct or is this due to poor stability, flexibility and faulty movement patterns that would require rehabilitation with physical therapy? After watching extensive video including practice and training drills as well as game tape, the answer is: most likely both. Initially, it could have started as a rehabilitation solution. Isiah displays multiple faults and poor movement problems that lead to compression of the hip joint (stay tuned for the hip mobility series for more explanation). Interestingly enough, Isiah has shown left hip dysfunctions in addition to his current right sided problem. What might have started as a problem that could have been dealt with conservatively, might need more aggresive treatment depending how far along the degenrative changes in his right hip have gone. No matter the next step he takes, he will have to make the necessary corrections to have a long career in the NBA. In poker it's called a "Tell". Something you constantly due to tip your hand. Unfortunately, for Corey Seager his tell speaks of something more significant than a lost hand. Watching warm ups and game video, I noticed Corey likes to crack his neck. Self manipulation actually points to an imbalanced spine. Watching Seager habitually crack his neck was just the first of many clues into the young shortstop's injurious past and future. Throw: Again, limited thoracic range of motion and relies heavily on his arm with a dysfunctional shoulder girdle to make the long throws to first. Limiting Corey's playing time with more days off and using a restricted throwing program are ways of limiting the wear on tear on his elbow and spine. Actually addressing the core of his problems would be better. In 2014, Paul George suffered a gruesome compound Tibia and Fibula fracture on his right leg and needed a rod and screws to fixate the leg. Some thought that was the end of his career. But Paul rehabilitated and made an impressive comeback. As daily talks surrounding his possible return home to Los Angeles heat up, I have put together a current analysis to see whether he will be viable for a long term, injury free career with the Lakers. Synopsis: While Paul George's comeback is remarkable, he has not fully recovered from his right leg injury and displays multiple problems that put him at risk for a right ankle sprain, a left knee injury, left shoulder impingement, right shoulder instability, oblique/abdominal strain, or a low back injury. The presumed National League Rookie of the Year caused a scare when spraining his right ankle against the Tigers when he appeared to make a routine catch in the outfield. A collective sigh of relief could be heard throughout the Dodgers organization, and all of Los Angeles for that matter, when Dave Roberts announced that Cody would be back as the starting first basemen. Bellinger himself proclaimed that he was 100%. So what do we have to worry about? It was curious, watching the injury as it happened. All he did was push off the right foot to leap and make a routine fly-ball catch. He stated that he hit a “softspot” in the dirt and “rolled” his ankle. But looking at video footage, this did not seem to be the case. I went back and started at the basics. I watched video of him stretching, warming up, running. Yes, there were some inadequacies with strength and pelvic stability. But then I watched his swing. That great swing which has brought him to both an all star and home run derby appearance in his first year in the pros. It has been compared to Ken Griffey Jr. and looks so smooth and efficient. A symphony of bio-mechanics. Except for one oddity. Most hitters use hip and pelvis rotation to transfer power from the legs, through the trunk and into the bat. If you watch Cody hit, you will see something different. He does rotate his pelvis and trunk when swinging, but limits his hip rotation on the right. So where does he pick up that lost movement. In the last place you would look (if not for this injury): in the ankle. Every time Bellinger swings for the fences, watch his ankle. He basically “rolls” his ankle every time he hits for power. No wonder all it took for him to roll his ankle was a “soft spot” in the dirt. Or at least that is how he perceived it. At the end of the day: It is hard to tell one of the best hitters in baseball to alter his symphonious swing. But at this pace, the next thing to give is his hip or knee. Right hip weakness with right pelvic shift and left pelvis drop (lumbopelvis instability) which looks like it has increased the demand on the left back muscles (paraspinals) causing a constant source of strain. If you watch many of his videos, he “sits” in his right hip, depending on passive structures such as ligaments to support his weight bearing on the right. On other videos, you can see Yu favor his left or go with a wide stance to again depend on passive structures versus activiely using his hip muscles to stabilize his pelvis and spine. Which leads into limited left rotation and right sidebending in the spine due to back tightness on the left. Since he is a righty pitcher, it is crucial to have left rotation. So how does he get away with it? With excessive left hip mobility on the left. But on the days his mechanics are not stellar, he might leave his comfort zone in the left hip and strain his back which is a likely cause he is currently on the DL. Limited hip extension really on both legs. Watching him stretch his flexors, it is glaringly obvious that he is lacking quite a bit. It looks like he has decreased right hip mobility in general which shows when he is squatting. Limited thoracic mobility which pitchers need and quite frequently lack. Watching videos of him perform shoulder mobility drills (in which you need sufficient thoracic mobility), you can detect excessive head protraction as a compensatory effort to clear the shoulders (think trying to do an overhead squat and needing to pull your head forward to clear the bar up). So what’s the take home message? 6-man pitching rotation? Lower the pitch count even further? I think most pitchers might look inside themselves and address internal dysfunctions and prolong their careers instead of looking to external factors that delay the inevitable. At the end of the day: Don’t expect Yu Darvish to have a full and complete season for the rest of his career. He seems like he compensates well and as long as he doesn’t pitch when his mechanics are way off (mechanics get thrown off when in pain and with excessive fatigue), he should be able to avoid sitting out a whole season like he did in 2015. Update 6/1/18: Clayton Kershaw will get an MRI after experiencing back tightening on Thursdays game against the Phillies. Kershaw returned for his first game back from the DL due to left biceps tendonitis since May 1. August 21, 2017: This is not new to him. In 2012, he had right hip impingement. In 2014, he had a strained left teres major muscle. In 2016, a lower back injury in which he had an epidural. So what's going on with Clayton. A few things I was able to pick up from watching him pitch, walk, move, and jog (mainly during his warm-up routine). Limited left hip extension - because his hip doesn't extend backwards, it will and does limit the stride portion of his pitching phase (at the end when his body rotates and he is facing the batter). How does he compensate? With a little too much of a left trunk lean. Limited left hip internal rotation - because he doesn't have this motion, during hip windup he will, and does, excessively rotate through his spine. You can see this as he walks and especially when he is going up stairs. He rotates to his right when stepping up with his left leg. His limited hip rotation also creates excessive torque at his knee which could be causing him so mild knee problems that could escalate to a ligament tear. Limited left hip flexion - Watching him bend down and pick up a ball, he is quick to go over his right hip and avoid his left hip, most likely due to limited flexibility with his hip bending movement. This is also showing up with a left pelvic hike. (When he does knee highs in warmups, watch him lose balance when lifting his left knee. This is because he has limited motion and is harder to perform for him). Left Leg versus abdominal weakness - Watching him jog, when on that left leg, you can detect some instability which shows up as extra rotation when on the left leg. You can notice his body rotates excessively to the right, meaning either he has some weakness in the left leg which is not being a good base to his pelvis and spine or abdominal weakness in one of his oblique muscles. This is a problem because his left leg is where he generates his power during pitching. If he's got weakness in those areas, he will compensate with overuse of his back muscles. So what's going on with Kershaw. Something in his left leg is restricting and weak causing excessive spinal compensation that will continue giving him back problems no matter how many cortisone shots or surgeries he gets. He has had an amazing career to date. Let's just see if he can manage these injuries and get through the rest. Shockingly, his compensatory problems have not really affected his performance, just kept him on the DL longer than the Dodgers liking. He does have a great warm up routine, although he should be incorporating some hip internal rotation range of motion (I only saw external rotation). Because of the snowball effect, I only see his problems getting worse unless he has these compensations addressed. Looking at recent reports, Ryan Tannenhill looks like he will be playing in the 2017-18 NFL season. What's holding him back from being the first game starter? My opinion: pure fear by the organization. Recent MRI shows no structural damage, so why such a poor initial prognosis for the Miami QB. Watching the practice video a few days ago where he went down after his knee buckled, it kind of reminded me of Derrick Rose injuring his knee during a game without a player around. Why do these players get injured without a real mechanism of injury. The real diagnosis: lack of proprioception in the knee. Prognosis on this type of injury depends on how he deals with it. A surgeon might go in and clean up the knee or he might get the all curing stem cell treatment again (how did that go the first time around). Watching a video of him walking in June 2017 makes me he will need more than stem cells. In December 2016, Tannenhill was diagnosed with a partial MCL and ACL tear after being hit by a Cardinal linesmen Calais Campbell. Since then, he has been taking weight off the leg and putting more on the right. In the June 2017 video (just a few months after being declared healthy by most NFL insiders), Ryan can be seen favoring his right leg in standing and unable to fully weight bear through the left leg as shown by a trunk lean to the left side when putting weight through the left leg. At the end of the day: He will come back earlier than expected, but unless he fixes the real issues going on, I don't see him being on the field for too long. If he makes it through the whole season, I would be shocked.